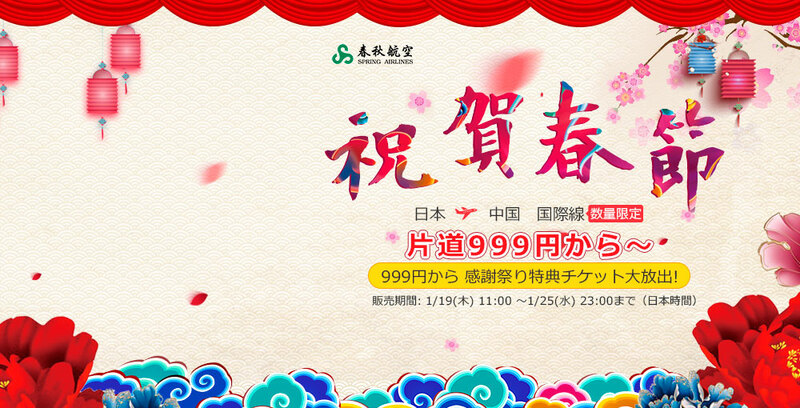 Spring Airlines ''A First come, first served campaign!'' November 22, 2016. 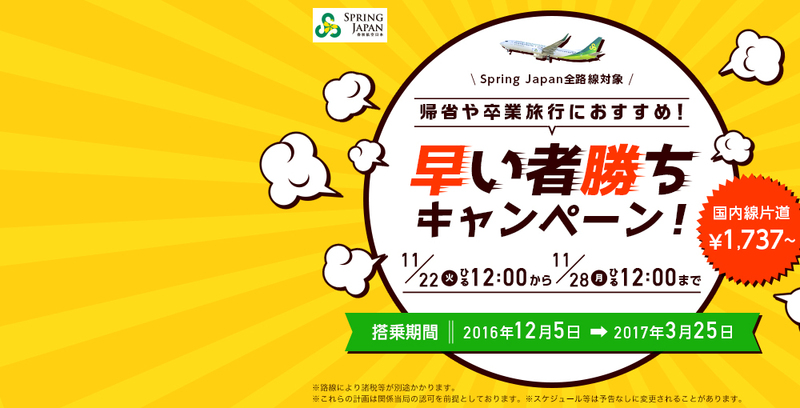 Spring Airlines ”A First come, first served campaign!” November 22, 2016. 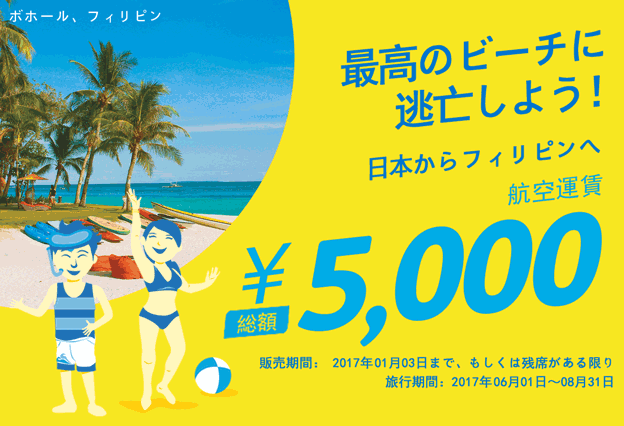 Spring Airlines is having “A First come, first served campaign!” on November 22, 2016. Sale period：November 22, 2016 at 12:00 p.m. − November 28, 2016 at 12:00 p.m.
Boarding period：December 5, 2016. − March 25, 2017. 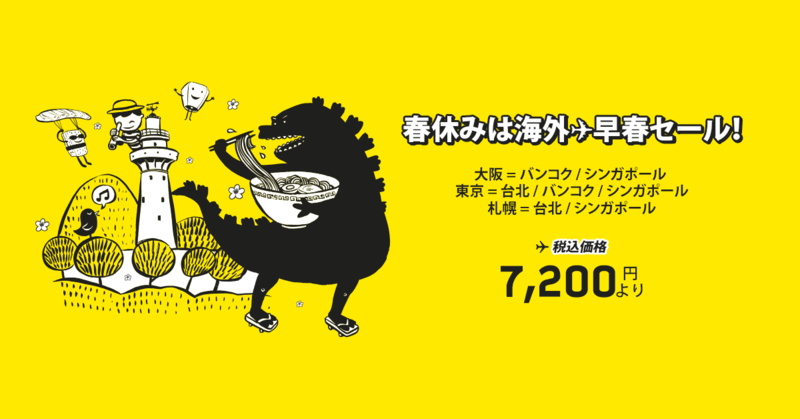 The campaign is limited to the reservation from the page for exclusive use of the campaign of the official site. 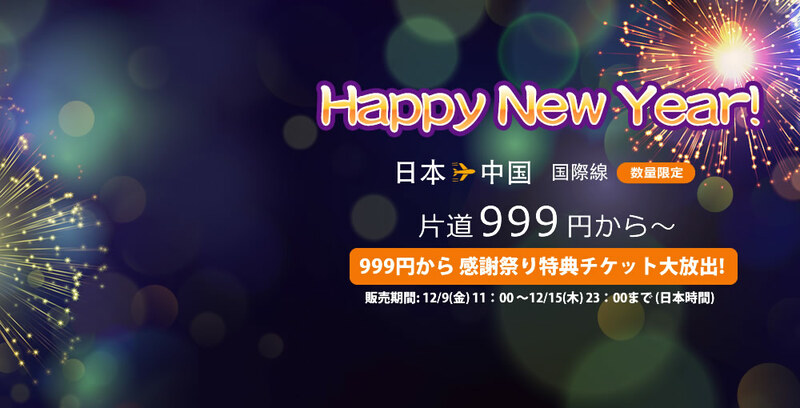 Hong Kong Express Airways ”2 to go Book 2 and save” Nov 22, 2016. 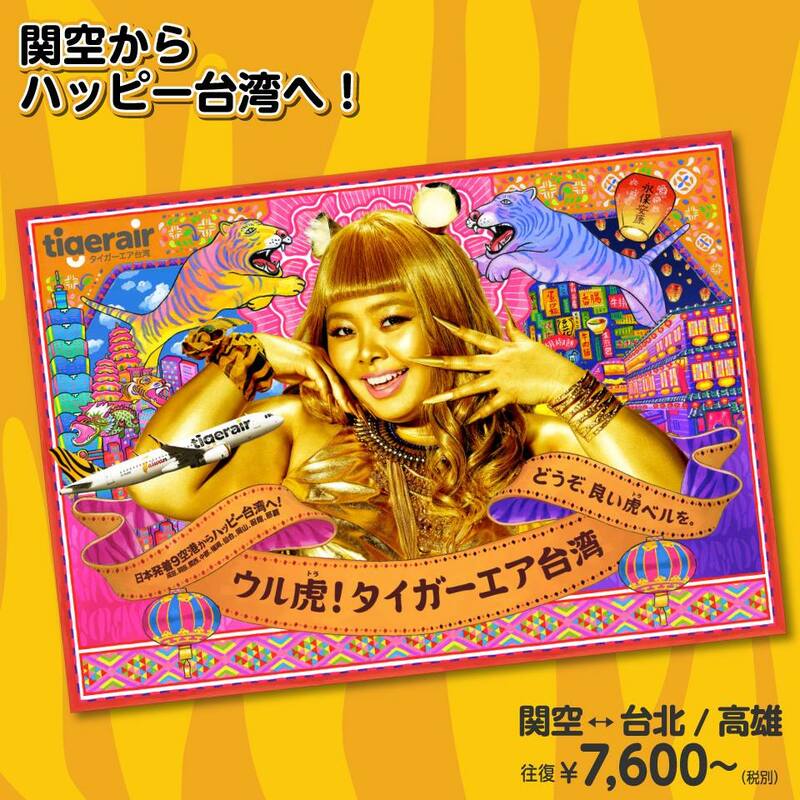 Tigerair Taiwan ”One for free campaigns by the reservation of four people” Nov 22, 2016.